While the Track and Field Season is not over yet, the Raiders are very close to crossing that final finish line and they’ve been impressive the entire time. 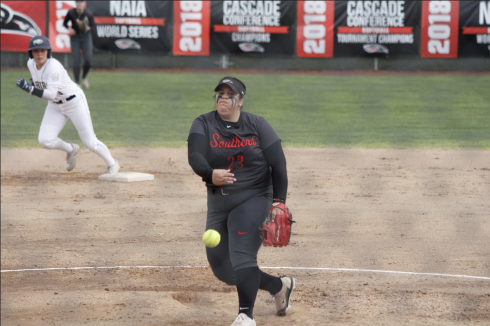 While Southern Oregon has no doubt excelled in the long distance category, the Raiders have also found a way to dominate in hurdles, shot put and discus. Dennis Olstedt has been a constant top finisher in the 400 hurdles for the Raiders while teammate Erik Evasovic has also proven to be a solid competitor in the same event. Meanwhile, Max Perry has been the standout for Southern Oregon in the shot put and hammer throw. Perry’s throw of 177-09 in the hammer currently ranks fourth all-time in Southen Oregon’s school history while his discus throw of 151-10 is a personal best. For the women, long distance again is the strenght with Seena Frantz, Summer Cano, Anya Martinez and Laurie Stoutenburgh all faring well in the 5,000. Freshman Mikayla Garrad has managed to lead the Raiders in sprints by competing in the 100, 200 and 400 along with participation in the relays. Senior Amy Nelson has also excelled in the 100 hurdles and 400 hurdles. 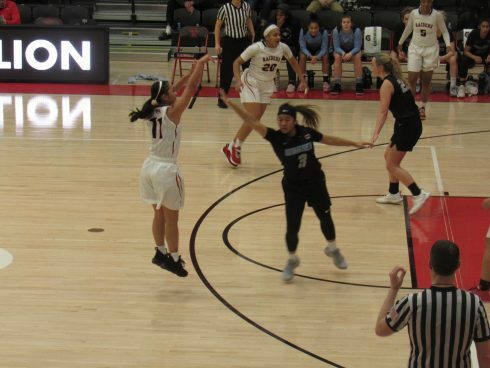 With the NAIA National Championships this week, the Raiders will be looking to end their solid season with one final victory and a title on the national stage would be the perfect way to close out 2011.